On Saturday in Hong Kong before the big holiday, I was hoping for some traditional fare. Fortunately, I came across a perfect option: the Lunar New Year Prosperity Beef Burger at McDonald's. The burger seemed to have been overloaded with sauce. Normally with fast food I would not be happy about finding a burger in such a state. But this isn't normal. This is a Prosperity Burger. There is no such thing as too much of that black peppery sauce. They could have dunked the entire buns into the sauce, and I'd be fine. OK, I am actually happy they didn't do that. At the very least, I really don't need even more sodium in the burger. 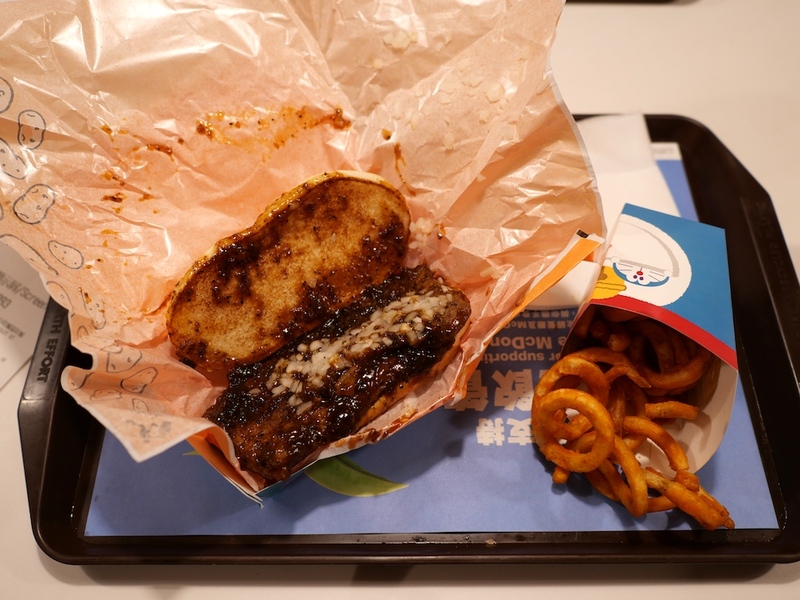 I was quite happy to continue an edacious tradition that has included me enjoying the glorious burger last year in Taipei and the year before in Macau. The burger is typically available in a number of Asian markets around the Lunar New Year holiday, though oddly enough it isn't available in mainland China where McDonald's offers other holiday burgers that change from year to year. I had thought I would miss out on the Prosperity Burger this year, but for other reasons life ended up bringing me to Hong Kong just in time. The curly fries were bonus.